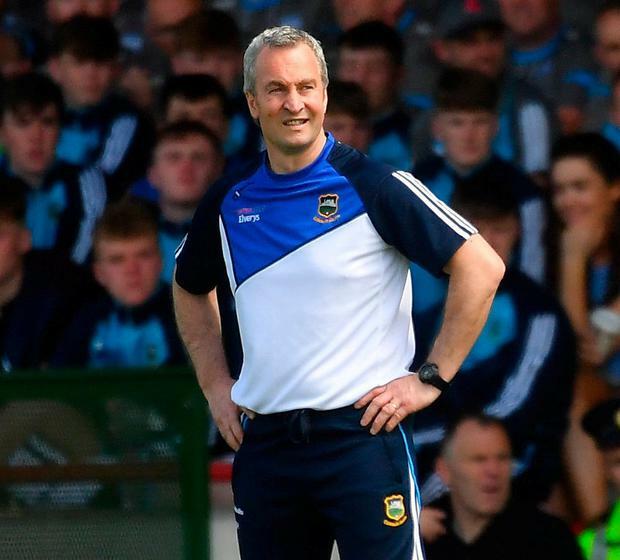 Michael Ryan has stepped down as manager of the Tipperary senior hurling team, ending a long association as both player and manager with the Premier County. Ryan's selectors, John Madden, Declan Fanning and Conor Stakelum, have also departed, paving the way for a new voice at the helm. The current minor manager Tommy Dunne, who has worked with Dublin in the past, current U-20 manager Liam Cahill and William Maher, the 2012 All-Ireland minor winning manager, are all potential candidates if Tipperary move along expected lines and look to fill the vacancy from within. Former goalkeeper Brendan Cummins is another who may feel the time is right for him to step up. Ryan's departure is a surprise, as the expectation was that he would remain for at least one more year to try and turn things around after winning just three of his last nine championship games in charge. However, the departing management team feel the time is right for others to take Tipperary on a different path, with speculation that same view was shared by a number of players after a difficult year. Tipp's summer was effectively over as early as June 10 when they failed to progress from the Munster championship round-robin series, losing a crucial tie to Clare. They previously had lost their opening game to Limerick before draws with Cork and Waterford. "Having carefully considered what is in the best interest of Tipperary hurling and our current crop of players we believe the time is now right for a change of direction," the management team said in a statement. Ryan has given fantastic service to Tipperary hurling, first as an uncompromising defender and then in management. He spent three years as a selector to Liam Sheedy between 2008 and 2010, a period that culminated in a first All-Ireland success for nine years. He returned to serve in a similar role under Eamon O'Shea from 2013 to 2015. When O’Shea announced his intention to step down a year in advance and Ryan was announced as his successor, there were some misgivings but the transition was seamless and within 12 months of taking over they were All-Ireland champions again with another emphatic final win over Kilkenny. The following year’s league was going smoothly too but a bad defeat in the final against Galway was the preface for a difficult summer campaign and while they recovered to lose to Galway by just a point again in an All-Ireland semi-final, they never regained the authority of the previous year. Another league final defeat to Kilkenny earlier this year paved the way for a disastrous Munster Championship campaign that left many questioning the team’s tactical direction as they failed to win any of the four games, drawing with Cork and Waterford. Ryan’s appointment in late 2015 led to the departure of a number of senior players to retirement and he changed the emphasis with Tipp returning to a more direct style and adopting a more physical edge than in previous years. Elsewhere, Cavan are continuing their search for a new football manager and it is believed that they will appoint someone from inside the county. Cavan Gaels manager Jason O’Reilly and former county U-21 boss Peter Reilly are believed to be the frontrunners in the race to succeed Mattie McGleenan, who stepped down last month after two seasons in charge of the Breffni men. Belturbet native O’Reilly has won both senior and intermediate club titles with the Gaels and Lacken respectively, while his former Cavan team-mate Reilly (Knockbride) guided the county U-21s to its last Ulster success in 2014.